When we consider the great pulp characters of the past, we tend to think of the top heroes of the 1930s: Doc Savage, The Shadow, The Spider, and the other larger than life figures that captivated our imaginations. 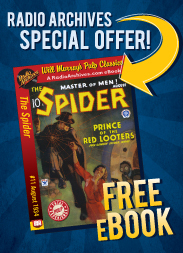 But decades before these crimefighters came on the scene, another character was filling the imaginations of millions of avid readers and inspiring them to follow his example. The late nineteenth century marked the true beginnings of the pulp era, thanks to the introduction of "dime novels" - an inexpensive mix of newspaper and magazine that specialized in attention grabbing stories that always left readers wanting more. Aimed directly at American youth, many of the stories emphasized that, with a combination of pluck, dedication, and clean living, any American boy or girl could rise to any height that they chose - and, indeed, become a hero themselves. In the winter of 1895, a writer named Gilbert Patten created such a character for a new magazine called "Tip Top Library". 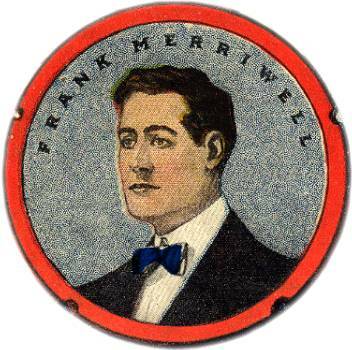 His publisher, Street and Smith, had instructed him to give his new hero admirable attributes like good looks, intelligence, good sportsmanship, ethics, and an outgoing personality - and so, based on these standards of excellence, Frank Merriwell was born. The first Merriwell story appeared the following spring and was an instant success with readers. Thanks to Patten's exciting, fast-paced writing style, the characters of Frank Merriwell and his friends Bart Hodge and Inza Burridge quickly became an institution; Street and Smith published their adventures for nearly two decades and an enduring literary legend was born. After World War II, when the stories were largely a nostalgic part of the past, many of Merriwell's readers retained a lingering fondness for this role model of their youth. Recognizing this, the National Broadcasting Company decided to reintroduce him to a contemporary audience. 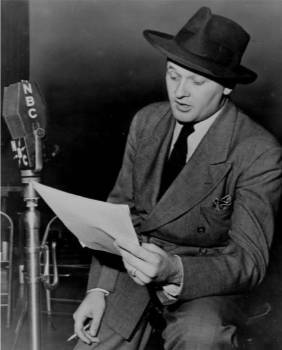 And so, in the fall of 1946, "The Adventures of Frank Merriwell" returned in a half-hour series of weekly radio adventures. Broadcast from New York, the new series starred Lawson Zerbe as Frank, with Hal Studer as his pal Bart Hodge and Elaine Rost as his girlfriend, Inza Burridge. NBC chose to make the series a period piece and, like many of the original stories, the programs were written as mini-mysteries - fast-paced tales in which Frank, Bart, and Inza investigated mysterious happenings, robberies, and underhanded deeds. True to its origins, each program subtly emphasized that success and popularity was best obtained through good sportsmanship, academic study, and athletic achievement. Thus, Merriwell and his cohorts continued to be the sort of positive role models they had been for half a century.